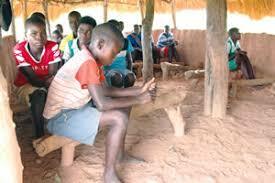 CHIEF Negande of Siakobvu has called for the upgrading of existing schools and construction of more schools in his area, saying those aspiring for political office should be development oriented. Speaking at the commissioning of Namutanda Footbridge in Siakobvu recently, Chief Negande said his area was one of the most underdeveloped in Zimbabwe that needed urgent attention. He said Siakobvu and Nyaminyami districts, in general, were underdeveloped. “Looking at the school where we are now (Negande Secondary), it is not a standard school,” said Chief Negande. Chief Negande said political representatives had not done much to uplift the area before expressing concern over lack of electricity in most parts of the district despite it being generated at the nearby Lake Kariba. People in the area, he said, should also benefit because they were displaced during the construction of the lake. “We see the overhead cables going elsewhere to serve others, but we do not have electricity here,” said Chief Negande. Chief Negande said schools in the area were the last to get teachers, with deployment being done as late as mid-term when learning was at an advanced stage. This, he said, was impacting on the quality of education children in the area were getting. He said the area was marginalised and Government should pay special attention to it. Director of the Civil Protection Department Mr Nathan Nkomo also expressed concern over the poor state of buildings at Negande Secondary School, saying the roofing should be attended to before it collapses and cause injuries to schoolchildren. “I will seek authority from my superiors to ensure that we attend to the roof at Negande Secondary School because it is a disaster waiting to happen,” he said.